Do you know your Compliance, Safety, Accountability (CSA) score? And what is a CSA score anyway? And how important is it? And how does it affect the ability to get a truck driving job? Many trucking companies have strict conditions and regulations in which they will hire a driver in regards to a clean record and an optimal CSA score. If you’ve ever asked yourself these questions, then read through to better understand this important score. What is a CSA score? The Compliance, Safety, Accountability (CSA) program is a system for tracking, measuring, evaluating, and intervening with carriers. The CSA score was introduced at the end of 2010 by the Federal Motor Carrier Safety Administration (FMCSA). The FMCSA is the U.S. Department of Transportation's administration that develops and enforces regulations to increase safety for commercial motor vehicles (CMVs) such as large trucks and buses. CSA is a program designed to improve the overall safety of CMVs by making both motor carriers and drivers accountable for their role in safety. Studies have shown that unsafe driver behavior is a major contributor to CMV-related crashes and the FMCSA works to identify and address unsafe drivers during interventions with motor carriers. The Safety Measurement System (SMS) is an important component of the CSA system. It was designed to focus on two things - Identify high-risk motor carriers who have a greater potential to be involved in future crashes for priority intervention and to identify motor carriers with patterns of on-road performance and compliance issues for intervention. 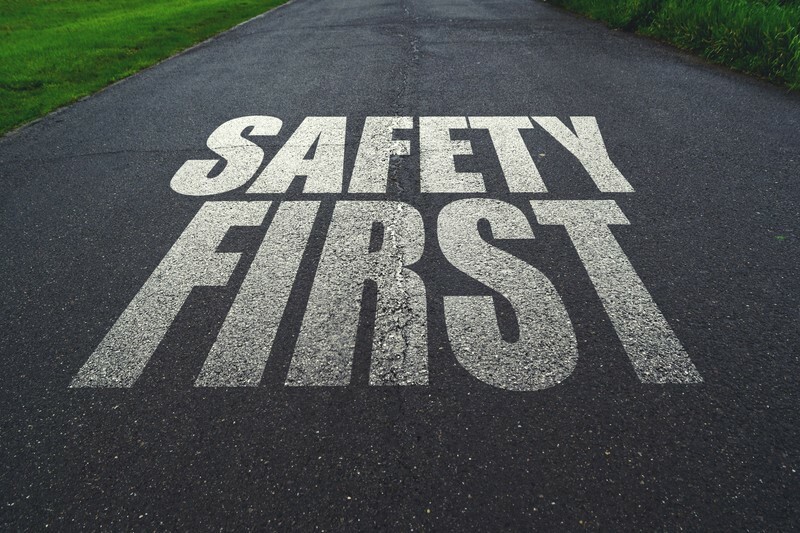 The Safety Management System has a complete website where commercial motor carriers and the public can access safety performance and data for free. The FMCSA relies upon this data to determine which trucking companies are safe, and which need more regulatory scrutiny and intervention. After all, shippers want - and need - to pick the safest carriers. FMCSA uses the SMS to identify carriers and drivers with potential safety problems. The SMS is a tool that assesses driving based on seven Behavior Analysis and Safety Improvement Categories (BASICs). Number: How many violations (or crashes) were there? Severity: How bad were they? Who (if anyone) was hurt and what damage was caused? Regency: How long ago did they happen? …and no carrier wants to be part of a high amount of interventions! Studies from the Florida Trucking Association have found that carriers with high turnover rates tend to show poorer CSA scores, with data showing that a high level of driver attrition may impact the numbers. As mentioned, safety data is collected and then broken down into BASICs. There are seven different BASIC categories which range from everything from unsafe driving to vehicle maintenance. Each BASIC has an intervention threshold limit and carriers with scores above these limits are the trucking carriers the FMCSA are trying to focus on. Companies with high scores who fail to make improvements find themselves subjected to interventions. 1. Unsafe Driving — Dangerous or careless operation of commercial motor vehicles (CMVs) in a dangerous or careless manner. 2.Hours-of-Service —Operation of CMVs by drivers who are ill, fatigued, or in non-compliance with the Hours-of-Service (HOS) regulations. 3.Driver Fitness —Operation of CMVs by drivers who are unfit to operate a CMV due to lack of training, experience, or medical qualifications. 4.Controlled Substances and Alcohol —Operation of CMVs by drivers who are impaired due to alcohol, illegal drugs, and misuse of prescription or over-the-counter medications. 5.Vehicle Maintenance —Failure to properly maintain the CMV, mechanical defects and failure to make required repairs, as well as improper securing of a load. 6.Cargo-Related/Hazardous Materials —Failure to properly prevent shifting loads, spilled or dropped cargo, and unsafe handling of hazardous materials on a CMV. 7.Crash Indicator BASIC—SMS evaluates a motor carrier's crash history based on state-reported crashes. Crash history may indicate a problem with the motor carrier that warrants intervention. Having good (lower) CSA scores in each BASIC reduces time-consuming roadside inspections, helps prevent monetary fines and allows carriers to get on with their day-to-day operations. In this sense, it’s no wonder trucking companies are so focused on safety. While the level of scrutiny imposed on one’s CSA score may range slightly from carrier to carrier, it won’t be vastly different depending on one’s driving area – a fleet in Texas, for example will likely take matters of a score just as seriously as other parts of the country. The SMS does not formally issue safety ratings to individual drivers. However, the FMCSA recognizes that drivers should be held accountable for their safe driving behavior. So the Safety Investigators (SIs) systematically investigate drivers with serious violations when investigating a motor carrier or trucking fleet. The Driver Safety Measurement System (DSMS), however, is an internal safety assessment tool only that is used to review drivers with strong patterns of noncompliance. Mentioned above is the Pre-Employment Screening Program. The PSP allows carriers and industry service providers access to commercial drivers' safety records.This data assists employers in making more informed decisions when hiring commercial drivers. PSP records contain information on crashes that were reported and that occurred in the last five years and roadside inspections that happened in the last three years. The records will reveal any crashes or inspections that took place, but will not indicate who was at fault in the incidence. These crash records also note any fatalities and injuries. A trucking job is all about speed and efficiency. So be warned that even though drivers are not being rated or scored, their driving record in relation to crashes and violations may be considered when applying for certain positions, as noted above. Keeping good CSA scores can greatly reduce fines for a carrier and minimize time-consuming roadside inspections. Favorable CSA scores allow for higher efficiency for carriers of all sizes. As a commercial truck driver, CSA scores act as an accountability measure for your performance and your compliance with regulations. If a violation was the responsibility of an individual driver, the information will be placed in their personal data as well as the carriers’ database. This personal data stays with the driver, no matter what carrier the driver is working for. Do not underestimate the importance of the CSA program. A CSA score is important and can influence the ability to be hired and long-term job security. It, therefore, makes sense to do a regular check of your CSA score. The Compliance, Safety, Accountability program is a proactive, data-driven, performance-based, national safety initiative. The desired result of collecting CSA data is not to penalize carriers or drivers, but rather to create safer highways for everyone. It works in the favor of everyone when a trucker job is dealt with the same level of responsibility and integrity wherever one may be – whether its Highway One in California or Highway Three in Iowa – safety matters in all locations.